It’s that time of year again – seriously, how has it been a year? 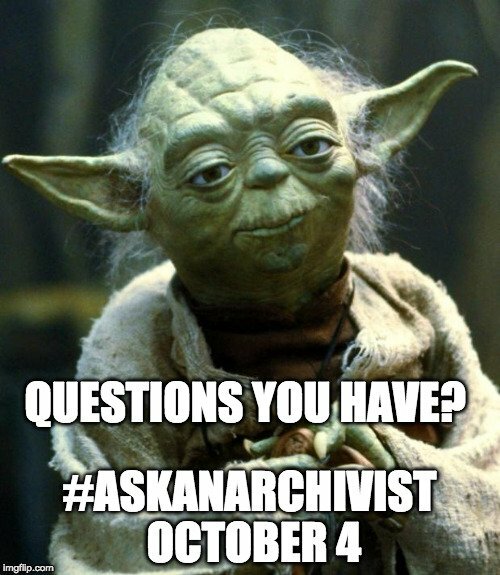 Yesterday was #AskAnArchivist Day and although I kind of agree with @EiraTansey that the participants are likely made up mostly of archivists asking each other questions, I don’t care – it’s a fun day!! 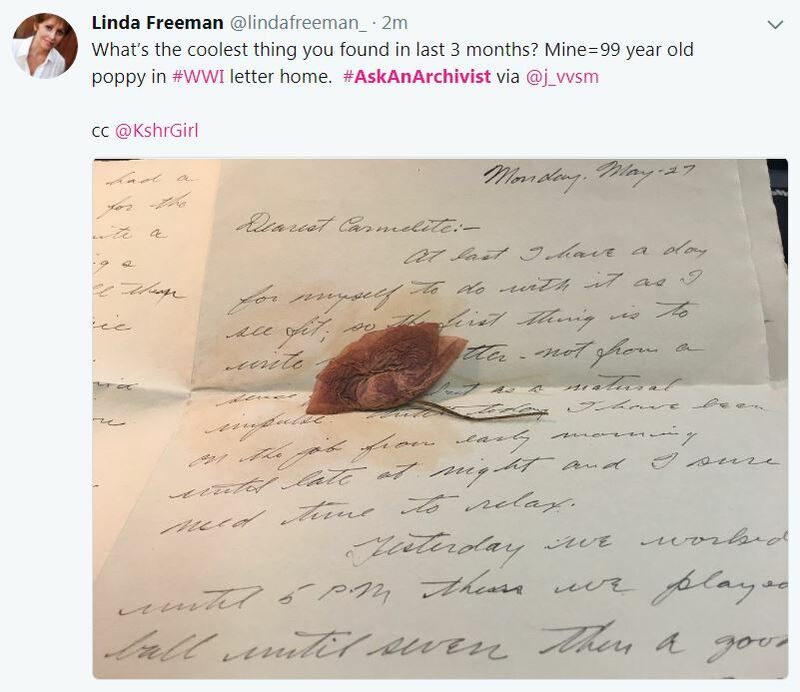 If you want to know more about the initiative, you can head on over to my post about last year’s #AskAnArchivist Day. 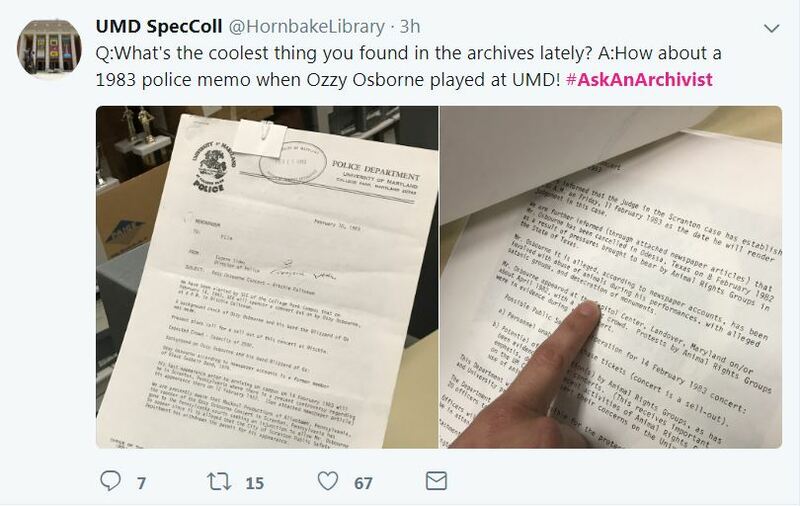 For this year’s installment, I thought I would just highlight some of my favourite questions and answers from all my witty, intelligent, and passionate archival colleagues out there. 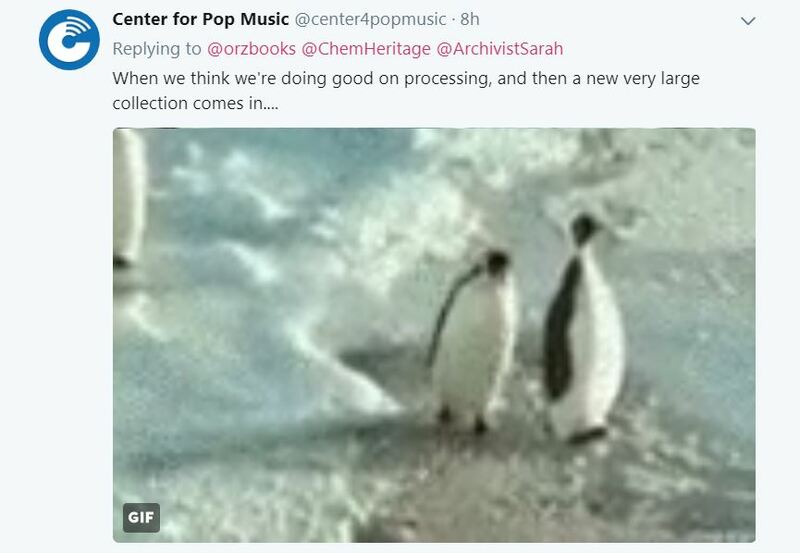 To get the day rolling, @orzbooks asked, “If you could express your work as an archivist in a GIF, what would the GIF be?” I really am not a GIF fan, but some of these made me giggle. Apologies everyone, I’m about to insert some GIFs – look away if you must, or scroll up to make those little repetitive creatures disappear – you’ve been warned. 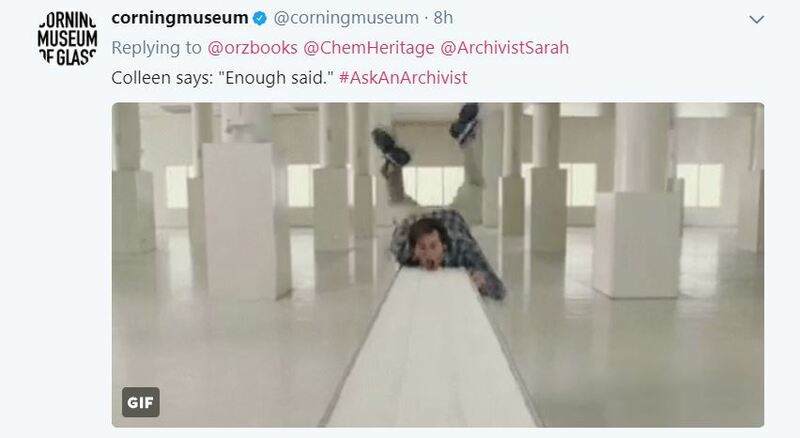 For the complete collection of GIFs that illustrate how archivists feel at work, check out the feed here. Moving right along – @entropydoc asked us to reveal the grossest thing ever found while processing a collection. Sometimes we really do have the strangest job. My favourites among grossest things included used fake eyelashes, teeth, dead lizards and bugs, termites, pigeon guano, and a blood soaked set list from a band that used an angle grinder on stage. Wouldn’t have liked to have been at that show! 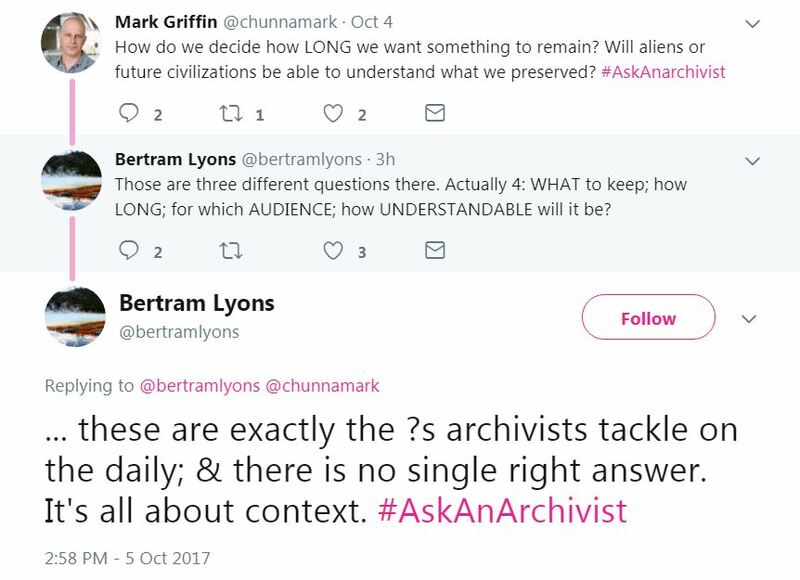 I really liked @SamiNorling ‘s question: In 5 words…What is an archivist? 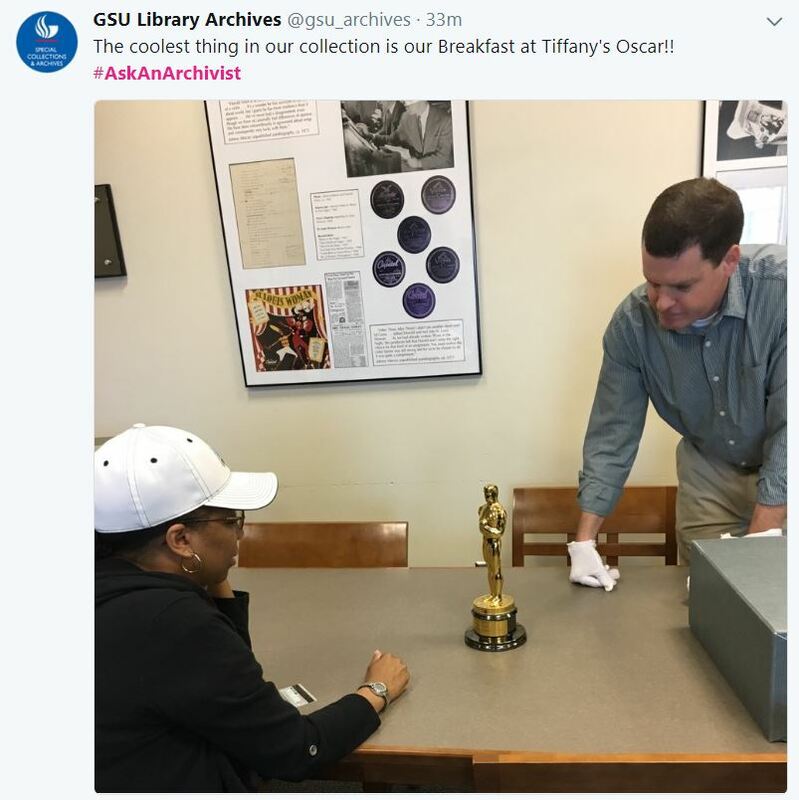 Of course, the day featured questions for specific archives and questions that would take way more than 140 characters to answer. This one celebrated my favourite archival concept: context! @ireashiamonet got a lot of responses to her question: Who are your favourite black, poc, queer archivists to follow? To follow these stellar individuals, you can review responses on the thread here. It’s difficult to capture an entire day of tweets in one blog post. I stepped away from my desk at one point for about 20 minutes and I came back to 600 new tweets. Twitter breaks my brain sometimes. That being said, I would highly recommend taking a journey through the hashtag. 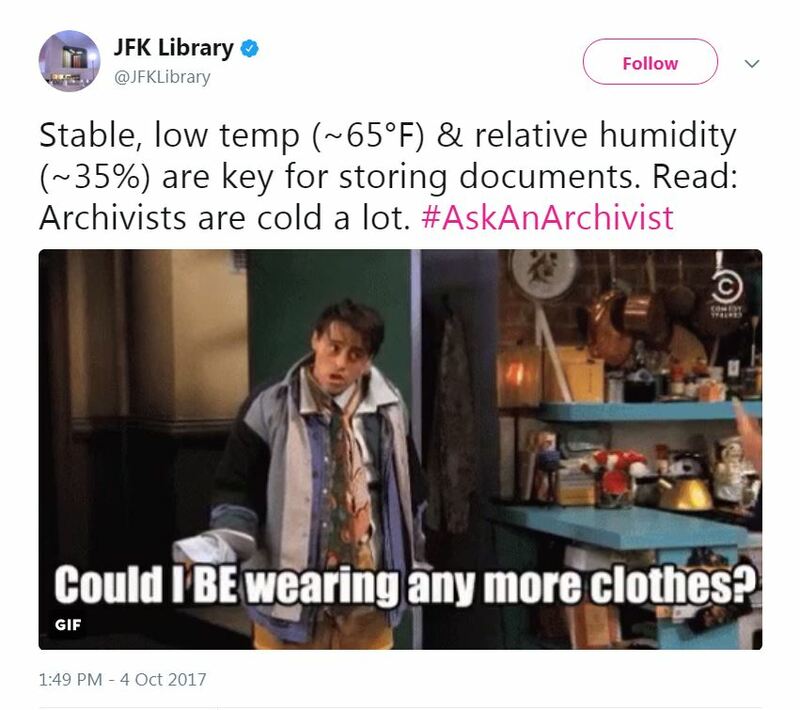 It will, if nothing else, dispel a few myths about archivists being introverts cowering in poorly lit basements. And as always, thanks to the DC Public Library for reminding us that every day is #AskAnArchivist Day – that’s our job!